A versatile seat that creates an active environment. 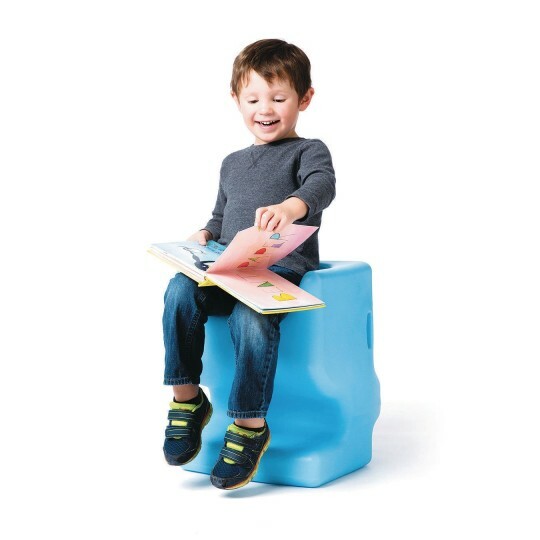 The patented Vidget™ chair has a unique design that provides an active seat, a stool, and a desk in one! 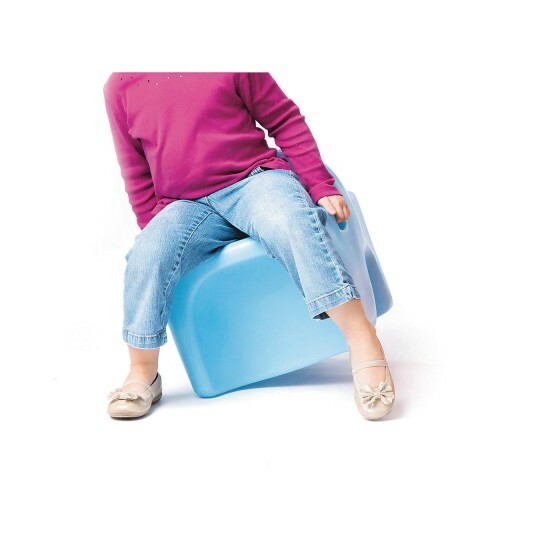 Inspire creativity and improve focus with this versatile seat that provides an active environment for younger students. Sit on Vidget™ to provide a gentle rocking motion, turn it for a stool, or turn it again to create a workspace! Interlock 2 or more to create a larger desktop that multiple students can use. 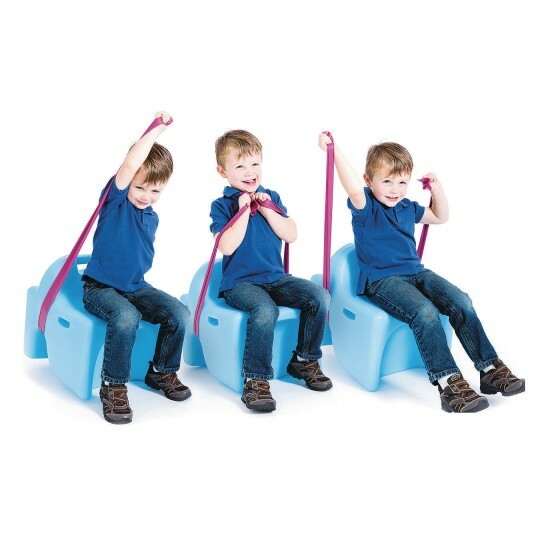 Unique design also allows for resistance bands (sold separately) to be utilized while students sit. Lightweight yet durable polyethylene is easy to clean. 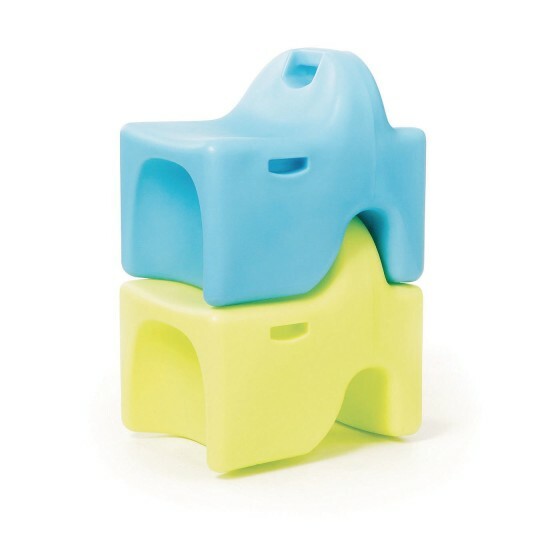 Recessed handles with nobs give hands a designated place when seated and also provide sensory stimulation. A top handle makes them easy to move. Stacking design for compact, organized storage. Made in the USA. 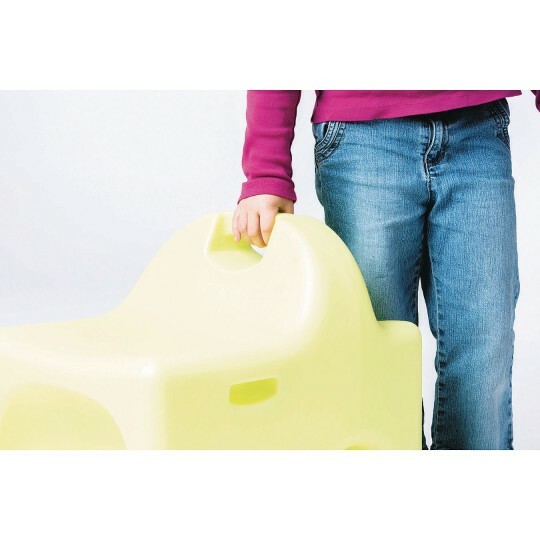 Made of high-density polyethylene plastic. Simply wipe to clean.